It is built on the Q60 red S sports coupe. Infiniti has taken the first step toward electrification with the new Project Black S prototype, which was revealed at the Paris Motor Show on Oct 1. This particular project depicts how Formula One® dual-hybrid electric powertrain technology can be used for a passenger vehicle. The automaker has been working on the INFINITI Project Black S for some time to bring high-performance electrified powertrains. The current project has been made possible through the efforts of Renault-Nissan-Mitsubishi association. The Project Black S combines high-performance dual-hybrid technology with a 3.0-liter V6 twin-turbo engine to pump out 420 kW – equal to 563 hp or 571 ps. With this power, the vehicle can hit 100 km/h in under 4 seconds. The conventional VR30 engine creates only 298 kW (400 hp / 405 ps). This greater power and torque have been possible through the exclusive ‘energy recovery system’ (ERS). The Project Black S prototype is built on the Q60 red S sports coupe and has been created with the help of Renault Sport Formula One Team. Roland Krueger, Chairman and Global President at INFINITI, said: “INFINITI has reached another milestone on its road to electrification. Building on the strength and success of the electric vehicle expertise of the Renault-Nissan-Mitsubishi alliance, INFINITI is showing the Project Black S, a high-performance prototype with F1 technology resulting from collaboration within the Alliance. “The Project Black S represents the very top end of electrification in the Alliance portfolio and is another example of INFINITI’s entrepreneurial spirit on its journey to electrification from 2021 onward. ’Project Black S’ utilizes the high power and smart energy management from advanced powertrains, a thrilling dynamic capability on road and track, and a performance-oriented aesthetic. 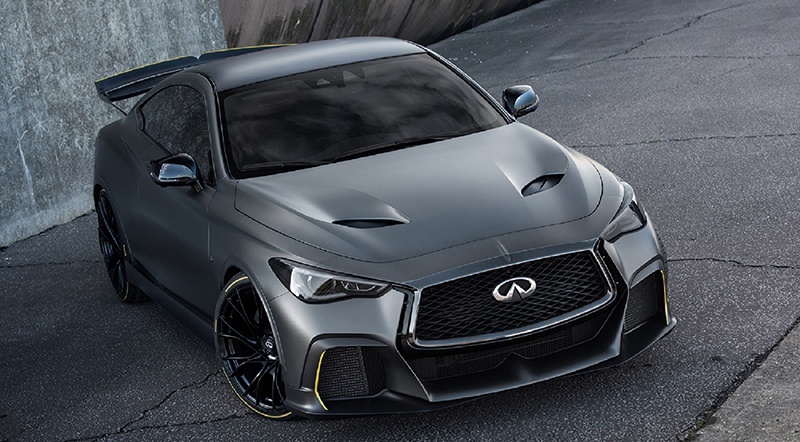 A collaborative venture between INFINITI and the Renault Sport Formula One Team, the Project Black S prototype is a test-bed for new ideas and technologies, demonstrating how our Alliance partnerships could make our ambitious visions a reality,” Krueger added.